As global wealth shifts back to Asia, the two nations need to work together as two nodes of the Asian Century. The Shanghai Cooperation Organization (SCO) is a Eurasian political, economic, and military organization established in Shanghai in 2001 by leaders of China, Kazakhstan, Kyrgyzstan, Russia, Tajikistan and Uzbekistan. Its objectives are cooperation between member nations on security-related concerns, military cooperation, intelligence sharing and counter-terrorism. With the addition of Uzbekistan, India and Pakistan, the group covers 40 percent of the global population. Cooperation on counter-terrorism is expected to be a major chunk of India’s exchange with the SCO. India is also likely to get greater access to major gas and oil exploration projects in Central Asia. The grouping is expected to play a role in regional geopolitics, security and trade negotiations. It is a step towards achieving the Asian Century. Future international security order in the region will be an area of discussion. Regional security is in a state of flux as the United States’ “pivot to Asia,” a major policy shift first outlined in 2011, has consolidated with the re-named and extended Pacific Command into the Indo-Pacific Command, with two-thirds of capital military assets deployed in this region. India recently agreed with Russia, another Eurasian power, on a non-bloc security architecture for the Indo-Pacific region. These developments will have an impact on security-related discussions in the SCO. As countries are now gaining in influence due to economic strength rather than military might, discussions on trade will be important. The United States is questioning the role and relevance of the rule-based World Trade Organization and withdrawing from the Asian trade and the Trans-Pacific Partnership. China has placed new emphasis on the domestic consumption market over exports as the principal driver of future economic growth and is leapfrogging the West in critical new technology sectors including biotechnology, informational technology, and artificial intelligence within the framework of environmentally sustainable development. India, with its young population, is emerging as a driver of global growth. In the area of trade and investment, there is much in common between the interests of China and India in supporting multilateralism. 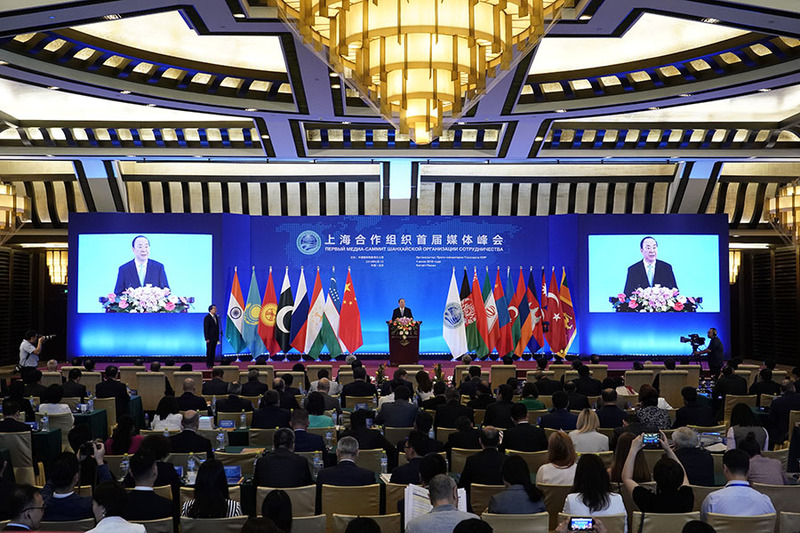 A breakthrough on Eurasian connectivity, trade and investment will be an area to which all members of the SCO are looking forward. China has indicated willingness to discuss concerns while other India-led initiatives promote connectivity in South Asia. The unresolved issue is about how they will converge. India-led connectivity initiatives are gaining steam. On April 23, a Bangladesh-Nepal bus service through India commenced under the Bangladesh-Bhutan-India-Nepal (BBIN) motor vehicles agreement. Although Bhutan did not ratify the agreement due to opposition from its parliament, the country encouraged others to move ahead, indicating that it hoped to join once it can secure parliamentary approval. This is an example of an India-led initiative establishing physical connectivity through India to foster immense cooperation potential even when all members are not able to participate at the same time. China’s re-emergence evidences the benefits of infrastructure development and connectivity. China has transformed from an agrarian and farm economy to one dominated by megacities, rapidly growing towns and an urban middle-class society. Overall, urbanization stands at 59 percent according to the National Bureau of Statistics, with Guangdong, the most populous province, most citified with an urban ratio of 70 percent. By comparison, U.S. urbanization is at 82 percent, Thailand 50 percent and India 33 percent. The drivers behind this shift include improved infrastructure and transport networks, better economic integration and policy-makers’ initiatives to rebalance regional development. South Asia, with a population of 1.8 billion, is currently conducting around 5 percent of intraregional trade because connectivity remains a barrier. Non-tariff barriers (NTBs) continue to affect the movement of goods and services within the region. It has been estimated that addressing infrastructure deficits can eliminate 80 percent of NTBs. In addition to enhancing trade, connectivity can significantly improve people-to-people interaction and lead to better understanding and closer diplomatic relations in the region. Convergence between China and India-led regional initiatives would benefit states in the region. China is leading with its BRI. The Maritime Silk Route crosses the Bay of Bengal and reaches Bangladesh, Myanmar and Sri Lanka. The South Asian Association for Regional Cooperation (SAARC) remains dormant with little expectation of it becoming functional in the near future, largely because of differences between India and Pakistan. The Bay of Bengal too remains among the least integrated regions despite the immense potential of enhancing trade through its ports and waterways. The India-led Bay of Bengal Initiative for Multi-Sectoral Technical and Economic Cooperation (BIMSTEC) involving Bangladesh, Bhutan, India, Myanmar, Nepal, Sri Lanka and Thailand has made solid progress in energy cooperation and grid interconnection. Developing the BRI, BIMSTEC and BBIN and regional agendas in a complementary rather than competing manner through coordination and consultation between the two Asian giants would lead to enormous benefits to both China and India as well as smaller countries in the region. A new framework is needed with such connectivity initiatives becoming the building blocks of a new global order. Implications for the future of the global order will be among the most important outcomes of the Qingdao Summit. The United States built the current order after World War II with two pillars: First, a number of international institutions including the UN, the Bretton Woods machinery and the GATT (later WTO). Second, the country maintained a hegemonic role in setting the agenda and designing the rules. This system was supported by its global network of alliances, such as NATO in Europe and bilateral security partnerships across East Asia. Many Western citizens are disillusioned with this arrangement and their own democratic forms of government with rising inequality and stagnation in median incomes, while incomes continue to rise in China and India. Those countries have the potential to overtake the U.S. economy as global wealth shifts back to Asia. Both China and India are creating new multilateral institutions such as the Asian Infrastructure Investment Bank and the International Solar Alliance. These countries do not see their role as simply replicating the current global order. Instead, they address economic concerns and promote sharing prosperity—realms that were kept out of the United Nations. Both China and India are working together to question the agenda and priorities of the current order which was established without input from other countries. However, they have yet to define what the new arrangements would look like, even as they work together closely on climate change and in the WTO, the two most important areas of multilateral cooperation. The tectonic shifts from a unipolar to a multipolar world should not be analyzed through a Western lens focused on how to accommodate re-emerging powers, but rather as a return to the world that existed before the arrival of the Europeans in Asia. Interests, influence and power are very different than they were seventy years ago when the current world order was established, and re-emerging powers cannot become ‘status quo powers’. Connected development eliminates ‘spheres of influence’ as a territorial concept, as China spreads its Belt and Road Initiative (BRI) even as far as Latin America. Asia does not want to choose between India and China, and is really concerned about how they relate to each other. Asia is reverting to its historical equilibrium as an integrated continent. It never fully endorsed the current multilateral framework nor does it accept the rejection of multilateralism and is looking to China and India to jointly set the new goals because they have similar objectives in national development. Prime Minister Modi’s re-framing of global climate concern in terms of ‘climate justice’ has challenged the Western conceptual framework to focus on human well-being within ecological limits. China is pushing the concept of “ecological civilization” at home and within the BRI. New ideas are also needed to reframe global trade to better share prosperity in a digitized world. In an interconnected urbanized middle-class world, equity and environment are more powerful integrating themes than earlier political ideologies. Aging society, rising inequality and middle-class unemployment are key determining factors of national policy, and leaders and their ideas are now the biggest game-changers at the global level. 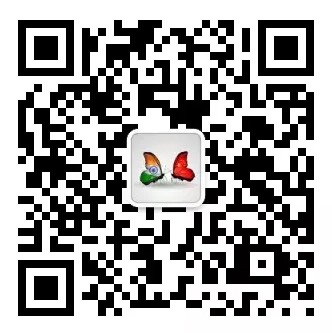 As China and India seek to consolidate their relationships with neighboring states, the recently concluded Wuhan summit between Prime Minister Modi and President Xi has led to a congruence of views on settling the colonial legacy of the border issue. There is a meeting of minds on the broad contours of the emerging world order focused on sharing prosperity based on economic engagement through trade, investment and capital flow, creating a sound template for a meaningful SCO meeting. The question is whether the SCO will accept the importance of Asian regionalism and if it will have global implications. Sustainable development will now be a central theme of global governance, rather than a stand-alone and meaningless side discussion. The old framework is no longer acceptable, even to its proponents, and could provide a conceptual framework to bring together countries at different levels of development. Rather than looking at the world in terms of regions and major powers in isolation, we now need a world view characterized by sharing prosperity and working with others to jointly determine new global goals. Outcomes depend on China and India working together as two nodes of the Asian Century, as has been the case throughout civilization. The author is a former UN diplomat who has served as Visiting Professor at Tsinghua University in Beijing.